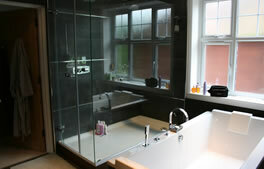 Walk-in double shower with special entrance doors and a central free-standing bath. 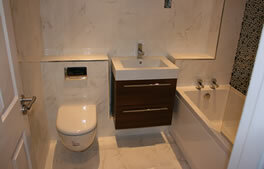 Wall hanging pan and basins with recessed mirror cabinets above. 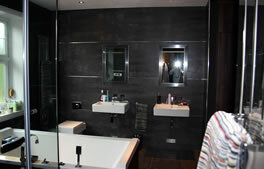 Sunken bath area with striking tiling and hidden cistern and Corian surfaces. 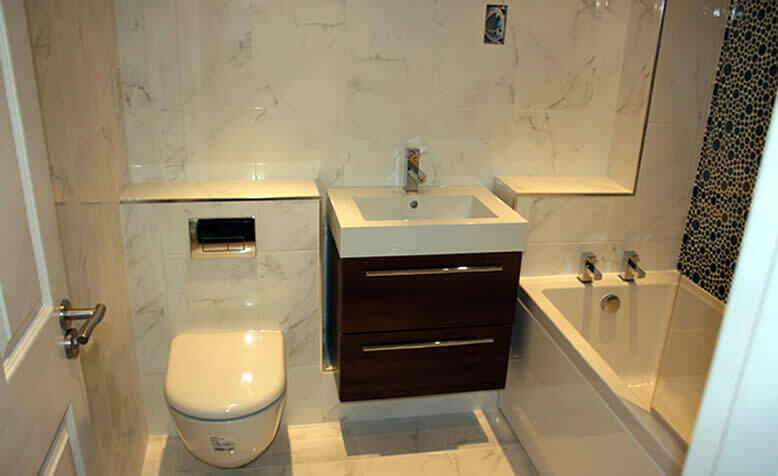 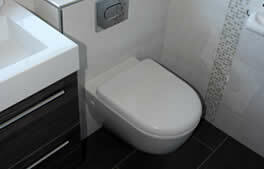 Compact bathroom with decorative tiling with a wall-hanging basin unit and pan.